Beacon Energy Services possesses great expertise with respect to aboveground storage tanks. 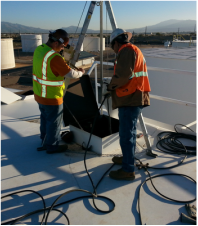 We have crews experienced performing in-service internal floating roof (IFR) and external floating roof (EFR) seal inspections and repairs. With our specialized field crews and equipment, we have the capabilities to repair and completely overhaul tanks as part of API 653 out-of-service tank maintenance programs. Beacon is also adept at API 650 new tank construction including both shop tanks and field erected tanks. Beacon Energy Services specializes in aboveground in-service storage tank inspections and reporting that is required by local air districts. 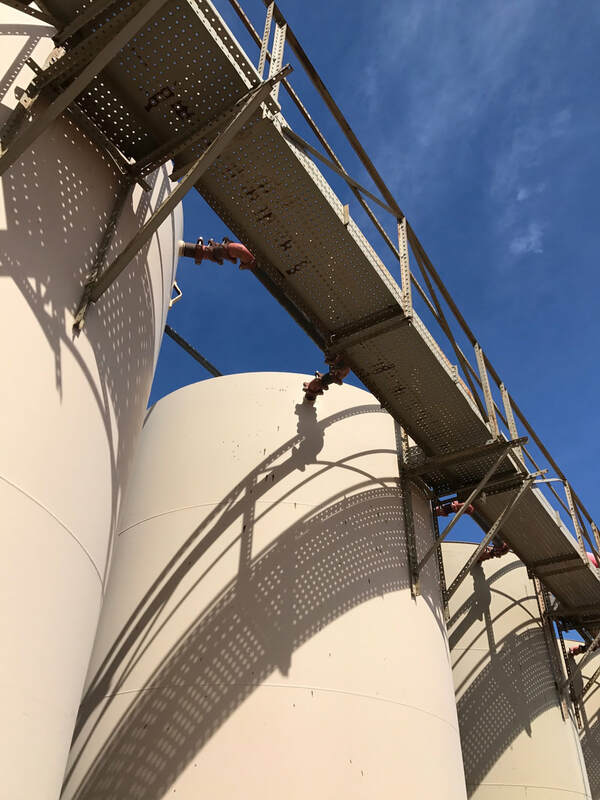 We currently inspect over 2,500 tanks annually over a geographic area from Southern California to West Texas and all the way up to the Canadian border. We have experience with a wide range of air district rules and requirements. Beacon has tremendous expertise with both internal floating roof (IFR) tanks and external floating roof (EFR) tanks as well as all types of roof seal systems. We are certified in above ground storage inspections through the South Coast Air Quality Management District (SCAQMD). Beacon has on-site field personnel who are trained and certified in both confined-space entry and Confined-Space Rescue (CSR). We can provide our own CSR team for all of our tank entries as well as providing CSR services for 3rd party contractors. This enables our clients to save cost and reduce risk in two ways: first, our clients need only hire one contractor to perform inspection work instead of two. Second, we can overlap duties between the inspection crew and the rescue crew to minimize the number of personnel on-site. Our belief is that the smart and safe approach is to use personnel who work and train together every day to achieve the safest possible work environment. Beacon Energy Services has the personnel and expertise to make both in-service and out-of-service repairs to aboveground storage tanks to keep your assets operating.